29 June, 2018 – Advent International, one of the largest and most experienced global private equity investors, today announced that it has entered into an agreement in principle in relation to the proposed sale of Mondo Minerals (“Mondo”) to Elementis plc (“Elementis”) for USD $600 million. 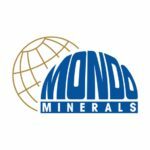 Mondo is a leading European talc performance minerals business, headquartered in Amsterdam, with operations across Finland and the Netherlands. Mondo produces and supplies high quality and innovative talc products for use in a diverse range of end-markets, including plastics, coatings and paints, technical ceramics, pharmaceuticals and paper. Advent acquired Mondo in October 2011 and with its support, the company has gone through a major phase of investment and business transformation, focused on expanding its capabilities in several high-end industrial applications. As a result, industrial talc applications now represent c. 80% of Mondo’s sales. The transaction, which is subject to approval by the shareholders of Elementis, consultation with Mondo’s works council and receipt of the required anti-trust approvals, is expected to close in the second half of 2018. Founded in 1984, Advent International is one of the largest and most experienced global private equity investors. The firm has invested in over 335 private equity transactions in 41 countries and as of March 31, 2018, it had €33 billion in assets under management. With offices on four continents, Advent has established a globally integrated team of over 190 investment professionals across North America, Europe, Latin America and Asia. The firm focuses on investments in five core sectors, including industrial; business and financial services; healthcare; retail, consumer and leisure; and technology, media and telecom. After more than 30 years dedicated to international investing, Advent remains committed to partnering with management teams to deliver sustained revenue and earnings growth for its portfolio companies.